On the Big Island, you'll find diverse rainforest ecosystems, tumbling waterfalls, and a warm and compelling culture whose people embody an authentic and heartfelt Aloha Spirit. 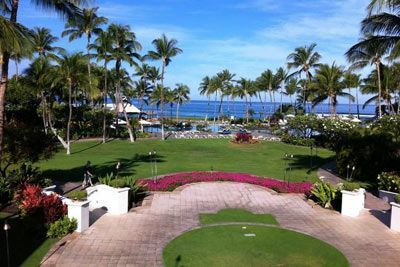 The Kohala Coast, also referred to as the Gold Coast because of year round sunshine, stretches of beautiful white sand beaches, and spectacular championship golf courses, is located on the west coast of the Big Island, north of the Kona Coast. 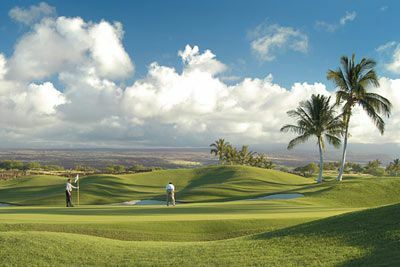 The Kohala Coast is Hawaii's golf mecca with world-class courses carved out of ancient lava flows, nestled among historical Hawaiian landmarks and fronting some of the most beautiful coastline of the Pacific. Waimea is home to Parker Ranch where fluorescent green pastures give way to lush valleys and a host of vibrant natural greens. Within short driving distances of your hotel you can play tennis or go horseback riding. 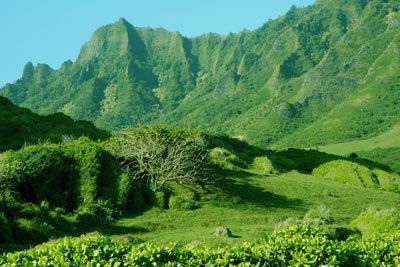 Take a hike into spectacular valleys (Waipio Valley and Pololu Valley are a hiker's paradise) and to hidden waterfalls. Explore the Pacific waters with tropical fish and turtles, go deep sea fishing, scuba diving, or boogie boarding. Visit the world's most famous observatories on majestic Mauna Kea (13,796 feet) for incredible scenery and star gazing. Watch for manta rays at night, delight in a helicopter flight over an active volcano, or go on a sunset cruise. Spring for a guided tour and discover places you normally would not find, be allowed to visit, or explore on your own. 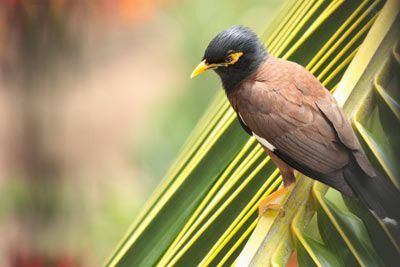 Walk to ancient fish ponds, sacred Hawaiian sites, heiaus, and petroglyphs on the Big Island. Puukohola Heiau, built by King Kamehameha in Kawaihae next to Spencer Beach Park, is worth a visit to learn and experience Hawaiian history. Flume the historic Kohala Sugar Plantation irrigation ditch by kayak on a unique ecotour. Last but not least, the Kohala Coast shoreline offers plenty of opportunities for sunbathing, swimming, and watching the Humpback whales. We advise booking a rental car well in advance. Imagine waking up to the sound of waves crashing along the shoreline. and evenings spent on your lanai overlooking the gardens and waterfalls. Relax in the outdoor 'Spa Without Walls,' including the waterfall massage hale (houses) and breathtaking oceanfront massage cabanas. Or discover island-style fun and culture: paddle an outrigger canoe, sail aboard a Hawaiian double-hulled sailing canoe, participate in a cultural hike, learn to weave a coconut leaf basket, and more from the Fairmont Beachboys. Enjoy snorkeling in the clear waters of Pauoa Bay or a refreshing dip in the 10,000 square foot oceanfront swimming pool, then stargaze from one of the lava whirlpools. 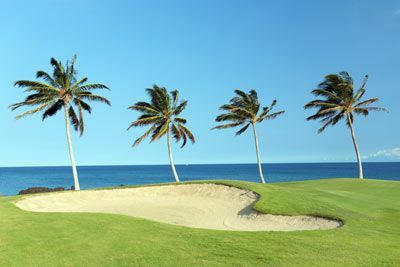 Choose to play 36 holes of championship golf at the Francis H. I`i Brown golf course, home of the Senior Skins Game for a decade. 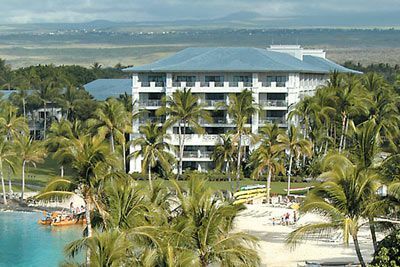 The Fairmont Orchid has four highly acclaimed restaurants, including a deli and a Japanese restaurant. Visit the Ocean Bar or the Kahakai Bar for a refreshing tropical libation just steps from the beach. 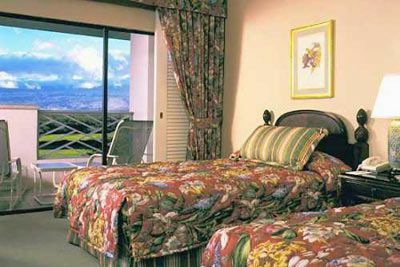 All rooms offer one king or two queen size beds (based on availability), individual climate control, alarm clock, bathrobes, hair dryer, iron/board, safe, mini-bar/refreshment center, high speed Internet access (fee applies), and pay-per-play Nintendo. Certified Registered Nurse Anesthetists: This program has been prior approved by the AANA for 24 Class A CEC; AANA Code #1034629; Expiration Date 2/15/2018. $100 December 14, 2017 to January 13, 2018. No refund after January 13, 2018; however, 50% of tuition paid may be applied toward tuition for another NWAS program within the next 12 months. Cancellation must be made in writing.